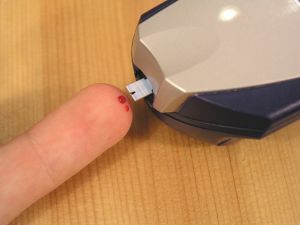 Up until about two years ago, a person who experienced repeated episodes of hypoglycemia (low blood sugar, usually due to diabetes) might have been eligible for disability benefits on that basis alone. However, our Boston Social Security Disability Lawyers know that as of July 2011, all endocrine disorders – including hypoglycemia – were removed from the Social Security Administration’s formal listing of impairments. The idea behind this thinking was that there have been great strides in medical advancements for those battling endocrine disorders, and that disability wasn’t necessarily a foregone conclusion anymore. While existing patients who were receiving disability benefits under endocrine listings were allowed to hang onto those benefits, they have still been subject to the periodic reviews conducted by the administration and, absent those listings, they may have a harder time hanging onto them. Plus, new patients with the disorder are going to have a harder time securing benefits for ailments such as hypoglycemia than those in years past. In both scenarios, we highly recommend hiring an experienced disability lawyer. Even if your condition no longer meets a specific listing, side effects from endocrine disorders can be severe and therefore produce significant functional limitations with regard to your ability to work. Let’s look specifically at hypoglycemia. This is a condition in which your body’s sugar/glucose is either used up too quickly or it’s released into your system too slowly or you have too much insulin being released into your system. Insulin is the hormone that regulates your blood sugar. Most commonly, you’re going to see hypoglycemia in people who have developed diabetes. Those who don’t have diabetes may have the conditions as a result of heavy alcohol consumption, pancreatic cancer, thyroid dysfunctions, a heart, kidney or liver failure, a body-wide infection or as a side effect to weigh loss surgery. When your sugar gets too low, you could experience a range of symptoms, including double vision, pounding heartbeat, anxiety or nervousness, headaches, hunger, shakes, sweats, tingling, weakness, insomnia or difficulty focusing. If your sugar gets below a certain point, you might faint, suffer a seizure or even go into a coma. In some cases, it may cause permanent brain damage. It’s true that most people with this condition have been given the tools to monitor and control it. However, if you are following your doctor’s prescribed regiment and are still suffering repeated bouts of severe low blood sugar, you might be eligible for disability under other sections of the SSA’s blue book guide. For example, someone who suffers repeated seizures due to hypoglycemia would now be evaluated under Section 11.00 Neurological impairments. In these cases, the degree and frequency will be major factors in the disability determination. If controlling those seizures requires a large level of medication that carries its own debilitating side effects, those should be noted as well. In cases where an individual has suffered an altered mental status as a result of one or repeated hypoglycemic episodes, his impairment would be evaluated under Section 12.00 Mental Disorders. If you have taken measures to control your hypoglycemia and have found it has not improved and further is impeding your ability to work, we can help.